The Renegade 32′ Cuddy delivers Performance and Style unlike any other powerboat in its class. 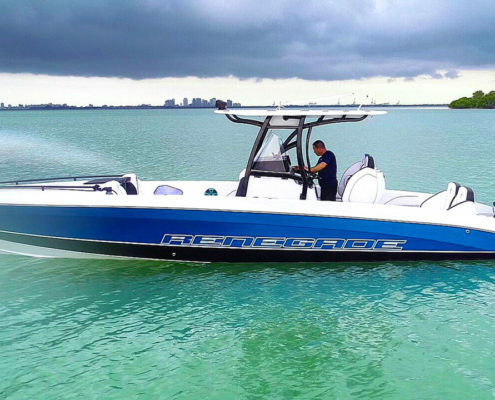 With its hi-performance equipment and custom seats, it has the look and feel of a much larger powerboat. It has been designed and engineered addressing the smallest details, leaving nothing overlooked. 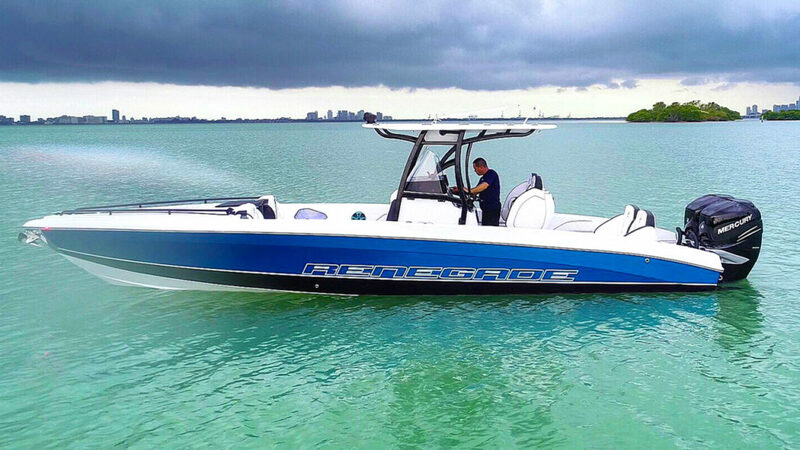 This boat fulfills the promise every time you are in it, you will feel as good as you look.Whether you’re speeding off to your favorite spot, cruising in comfort, or relaxing adrift, the 32′ Cuddy will get you there in style that is second to none..